Sale!!! 6" DRAFTING TOOL PROPORTIONAL DIVIDER SCIENTIFIC INSTRUMENT USA seller!! 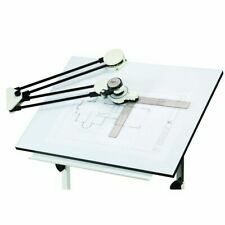 1 product rating - New Professional Drafting Machine! With Protractor And Articulated Arm! This page was last updated: 20-Apr 13:57. Number of bids and bid amounts may be slightly out of date. See each listing for international shipping options and costs.